Can you confirm these amateur observations of Drepanoides anomalus? 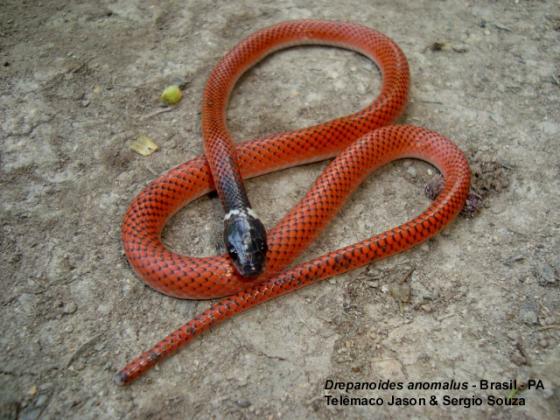 Type locality: South America and Brazil. Comment Synonymy: mostly that of PETERS & OREJAS-MIRANDA 1970. The synonymy of Arrhyton Quenselii (holotype: NRM) is not clear. Van Wallach (pers. comm., 7 Oct 2011) believes it may be synonymous with D. anomalus based on the original description by ANDERSSON 1901. Type species: Cloelia anomala JAN 1863: 92 is the type species of the genus Drepanoides DUNN 1928. Almendariz, A. 1991. 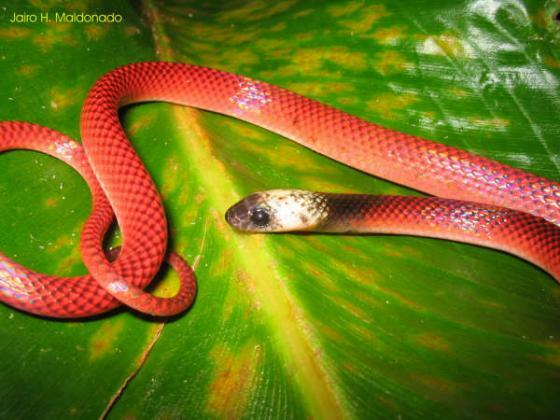 Anfibios y Reptiles [del Ecuador]. Rev. Politecnica. XVI (3): 89-162. Dunn, E.R. 1928. A tentative key and arrangement of the American Colubridae. Bull. Antivenin Inst. America 2: 18–24.